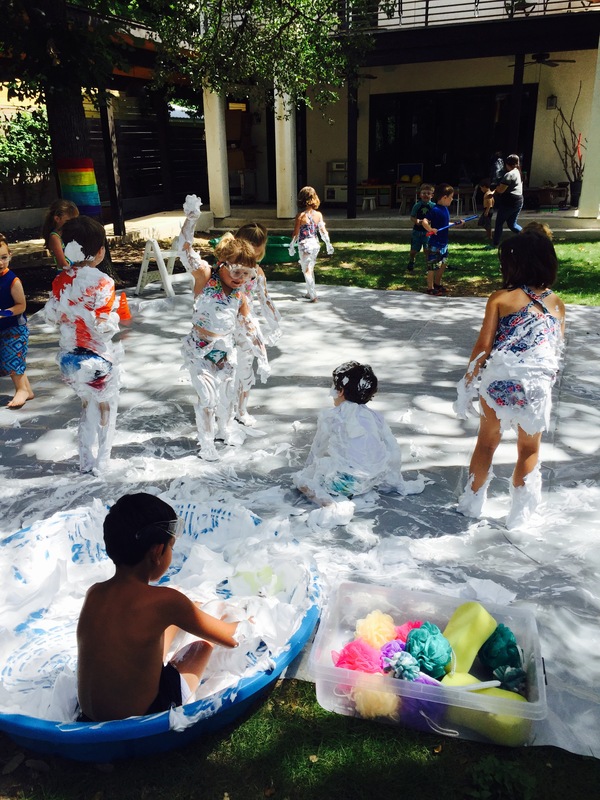 Wee Warhols Children’s Art Classes offers amazingly fun summer camps in Austin Texas. (All 2016 summer camps are sold out. Join our email list to get notified when we open enrollment for next summer. We are taking Fall enrollment at this time.) They are week long camps then end with a splash on Friday Water Days. Every water day is different. 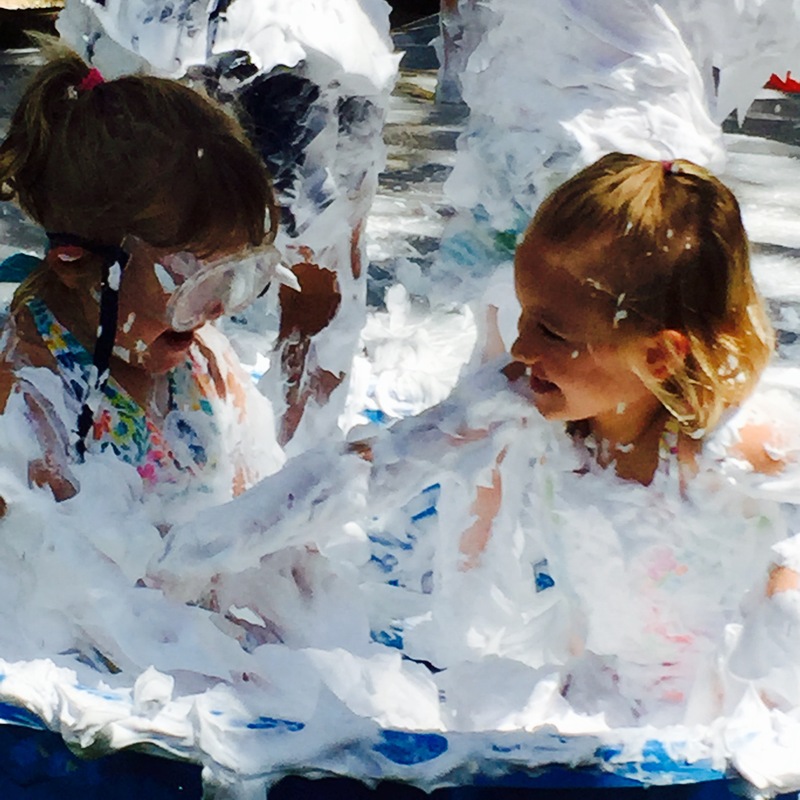 One of our fun water days was Shaving Cream Splash or should I say Slide Day. 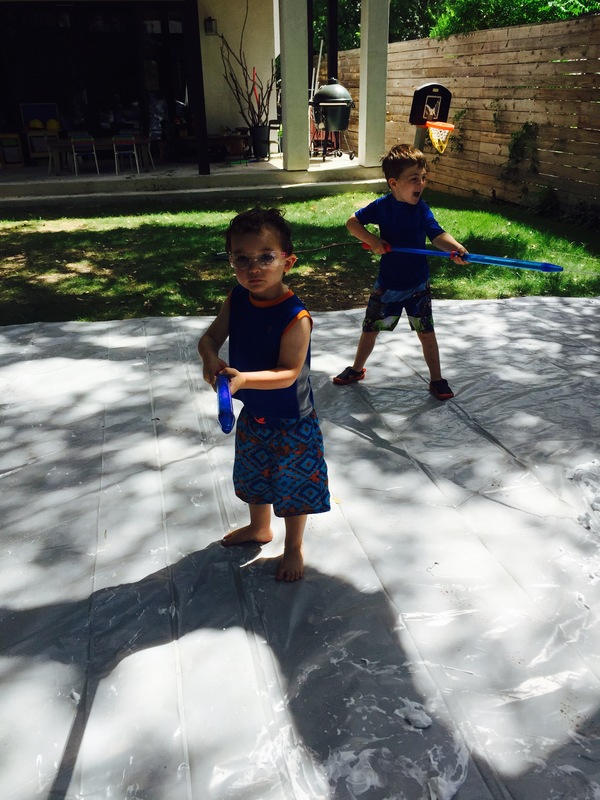 All the kids wear bathing suits so they are prepared for anything. The kids had lunch in the studio while I set up the surprises. I laid out a huge plastic tarp in the courtyard, and secured all the edges. It was a thick one that wouldn’t tare. 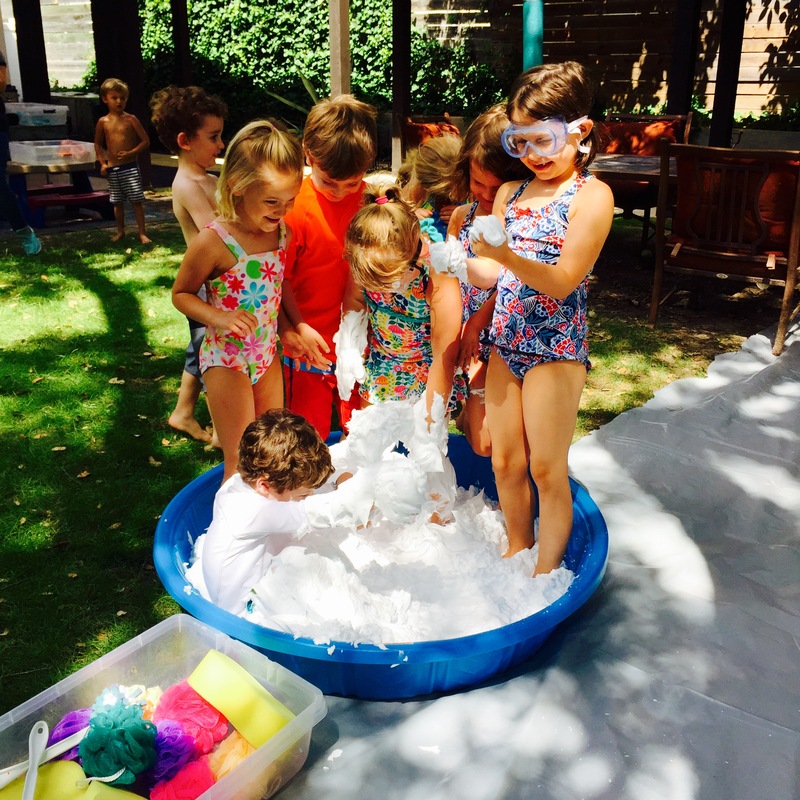 At one end I filled up a baby pool with sensitive skin shaving cream, at the other end a baby pool filled with water and water shooters. I set up the sprinklers for a wash down area. Got out the towels incase anyone got shaving cream in their eyes. 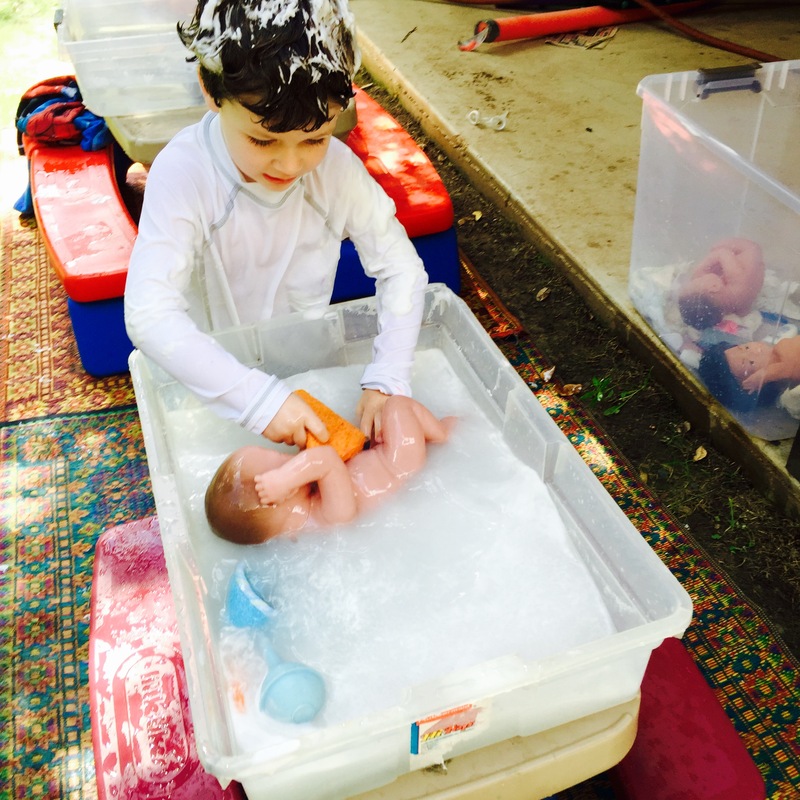 I set up the baby washing station in case anyone was not interested in getting messy. When they came out it was so funny to see their reactions. They didn’t know what to think. 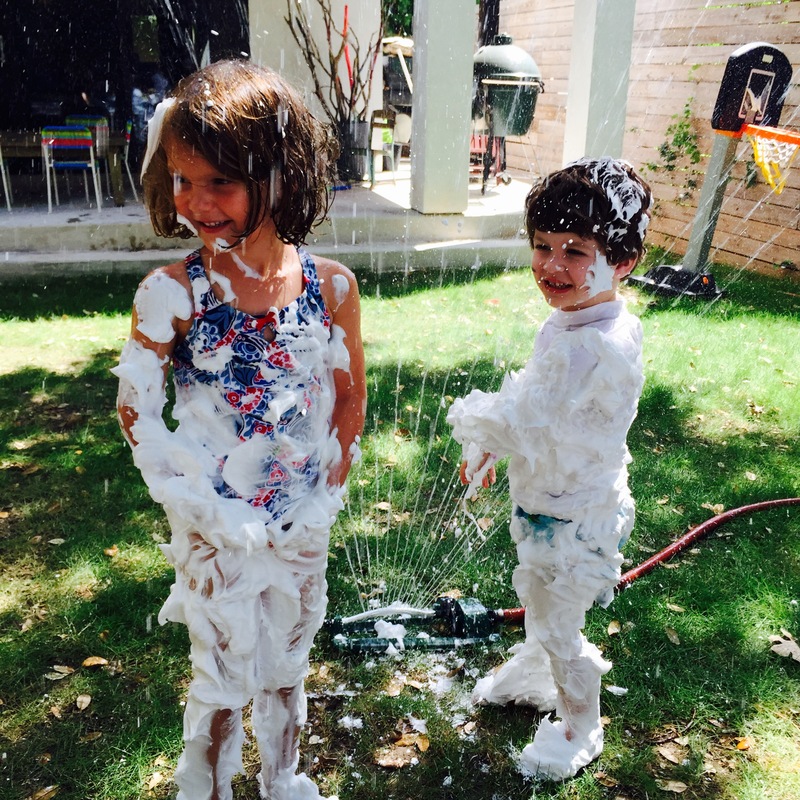 Once they got the okay, they dove in and had a blast. They were slipping and sliding every where. Luckily there were no major mishaps and there were only smiles. 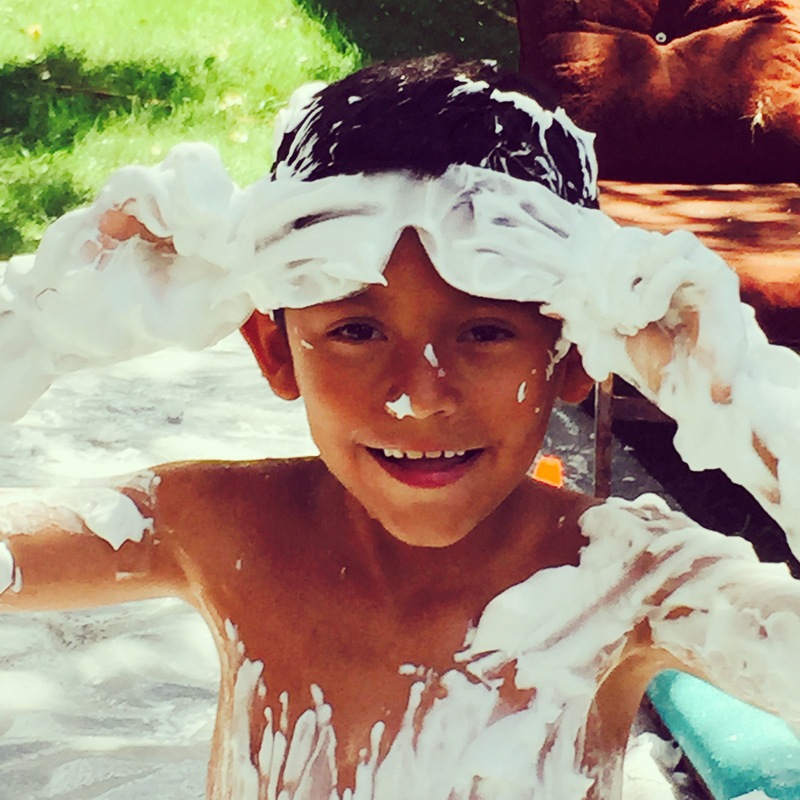 It was interesting to see how some kids enjoyed the job of water shooter “cleaner” most of all (my kid). 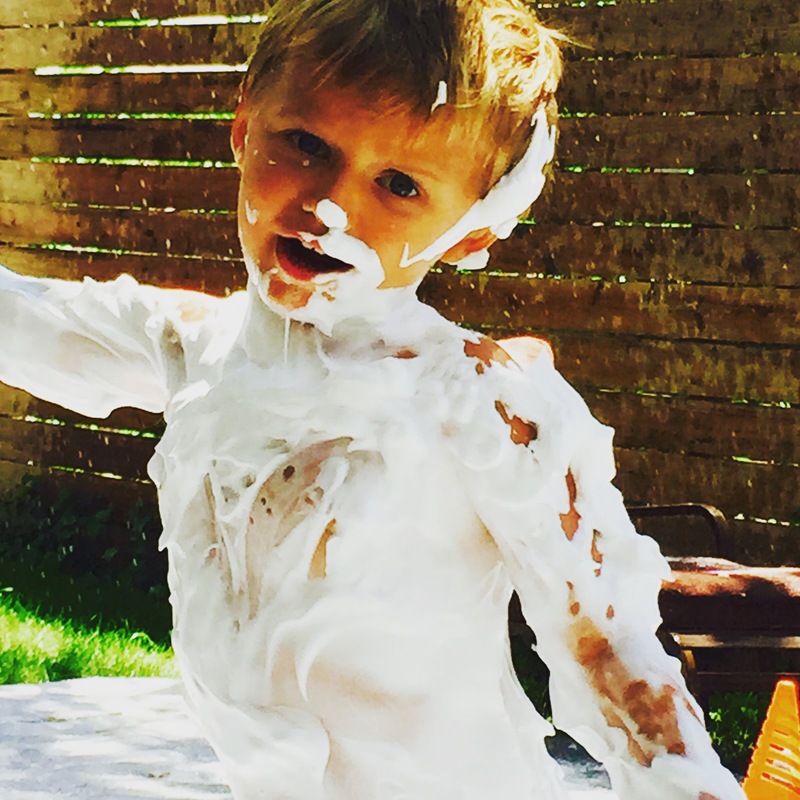 Please share with me in comments any messy summer fun you have planned!